For over 70 years, we’ve delivered on a fundamental promise: to provide you with reliable electricity at affordable rates. With our eyes on the future, we’re taking steps to curtail our reliance on carbon-based fuels and meet ambitious goals set by your elected Board of Directors and state lawmakers to dramatically reduce greenhouse gas emissions. One important way we do this is through technology that will put you in greater control of your energy choices. Imagine a future where your thermostats, appliances and electronic devices communicate with your electric meter to operate at peak efficiency, or where you can view your energy usage on your laptop, tablet or smart phone at any time, from anywhere. A big first step toward that future was the installation of 600,000 smart meters at customer locations across our entire service area. Those will be connected to other leading technologies to create a "smart grid." The smart grid has the potential to transform how you use energy and how we serve your energy needs, allowing for a much more interactive customer experience than was ever possible. Energy is vital to our lives. And, as our energy future unfolds, you can trust SMUD, your community-owned, not-for-profit electric service, to help you make smart choices. 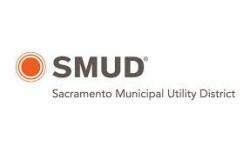 SMUD began serving Sacramento in 1946 and is now the nation’s sixth-largest community-owned electric utility. SMUD provides reliable, affordable electricity to most of Sacramento County (and small, adjoining portions of Placer and Yolo Counties). SMUD is recognized nationally and internationally for its innovative energy efficiency programs and renewable power technologies, SMUD was the first large California utility to receive more than 20 percent of its energy from renewable resources.